Cambrian Railways station, offices and works, looking north east, Oswestry, Fri 26 August 2011. The mid-Wales Cambrian Rlys were independent until 1922, when they were taken over by the Great Western. 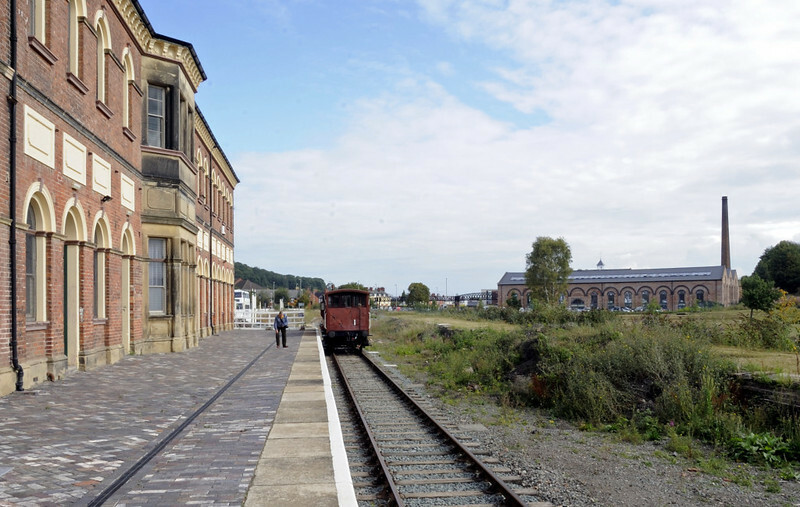 The Cambrian had their headquarters in England at Oswestry, in the office building at left and the loco, carriage and wagon works in the distance. Both are now in commercial use. Passenger services through Oswestry closed in the 1960s, but the Gobowen - Oswestry - Blodwell quarry line remained open for ballast traffic until 1988. Its track was mothballed and remains in place in 2011.